An evolutionary geneticist and spider expert, Amber Beavis, said it was unusual to see adults spiders displaying this behaviour, known as ballooning. It is typically used by young spiders to travel away from their birth place, said Dr Beavis from the Australian National University. She said wolf spiders were not social spiders either. ''They're very solitary but under these extreme circumstances they obviously don't mind being around each other.'' Taronga Zoo's spider keeper Brett Finlayson said: "There are more airborne and water-borne insects due to the rain, and so there's a greater food supply for spiders. So more are surviving through to adulthood," he said. But the rain is doing something else - it is making spider webs stickier, meaning more insects and bugs are getting stuck in the filaments. Spiders are drinking the extra water droplets hanging from their webs, while the drops are making webs more visible to humans. "The rain sticks to the webs," Mr Finlayson said. "You may have walked past [the web] before, but now you can see it." 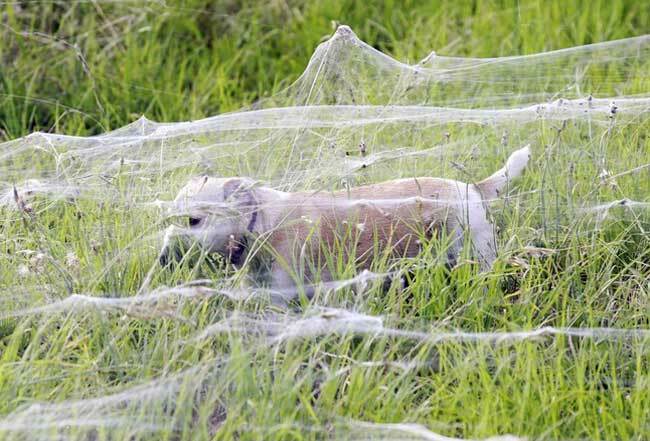 He said the rising water levels from the floods pose little threat to the spiders or their webs. 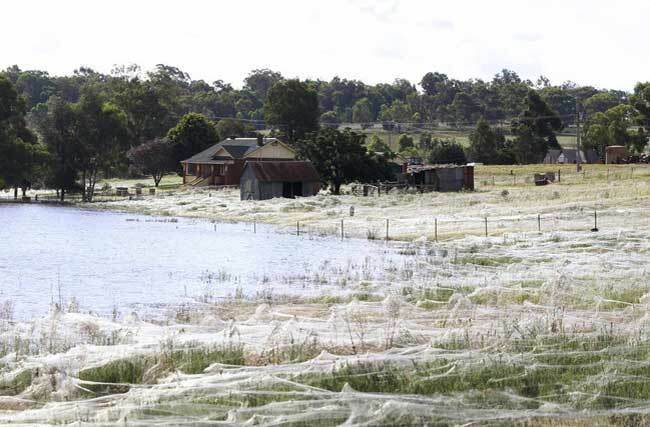 "If the water was to rise and the web was to go under, they will move on," Mr Finlayson said. "They can eat their own web, which is just protein, climb elsewhere and make a new web. But they are more likely to abandon the old web because there is so much food around [now]." For spiders that live underground, the wet conditions are also a boon. While some spiders may drown if they are stuck in a pool of water for too long, many others are able to find new homes in moist soil, Mr Finlayson said. Mr Finlayson said the increase in spiders posed no danger to people - and that they should be grateful, instead of frightened. 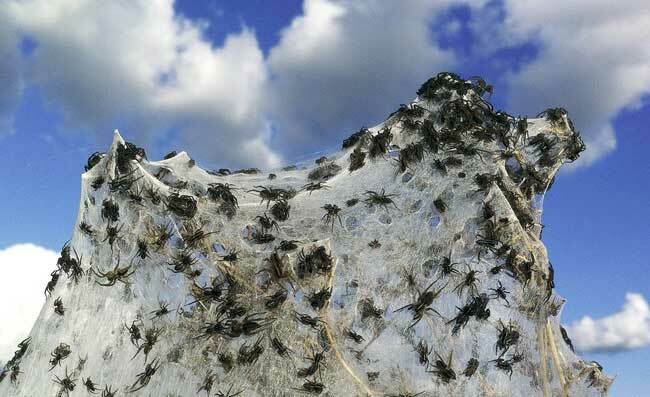 And if it is a dry summer next year, the spider population would drop back to its previous levels. There's a large photo gallery here. I have seen this before, and it's gross. Spiders don't drink water; they get water from their food. If you see one that appears to be drinking, it's actually filling the reservoirs that supply the pumps in the leg joints. They move via a hydraulic system that is pumped by muscles similar to small hearts. The water must be replenished occasionally. And that's your arachnid lesson for the day. Where are the wild fires when you need them! OMG!! In countries where malaria is rampant, when this happens it's quite literally a lifesaver.